The recitation’s genesis was a simple encouragement from Otto’s University British History Professor, Dr. Maxwell Schoenfeld in 1973. Schoenfeld encouraged Otto not only to study Churchill’s life academically, but to emulate the great man on stage. An alumnus of the Milwaukee Repertory Theatre and numerous theatrical roles, over the past 43 years Churchill scholar, motivational speaker and performance artist Randy Otto – B.A. Theatre/University of Wisconsin at Eau Claire – has honed the concept into a one-man show designed to entertain and electrify. I have heard many people attempt to play the role of my great-grandfather, but without hesitation, Randy Otto takes the role to a whole new level. Randy does not attempt to be Winston Churchill, Randy IS Winston Churchill. 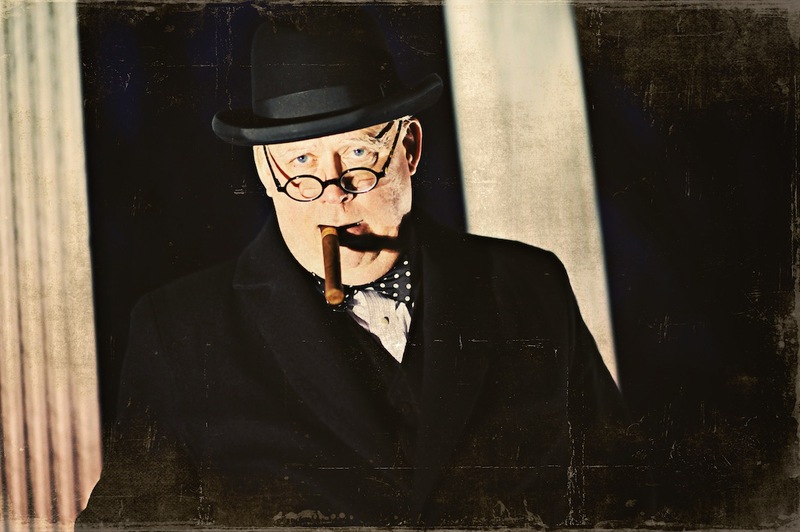 …an evening spent with Randy Otto is as close as you will come to an evening with the colossus of the age: Winston Churchill. 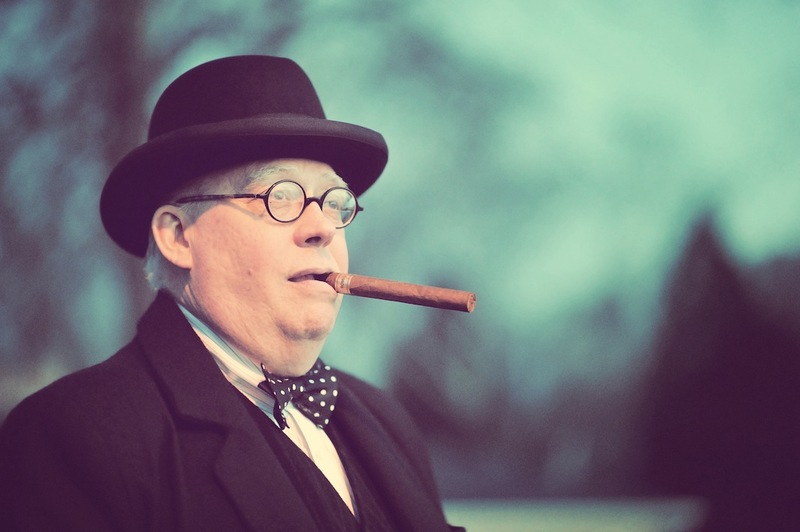 Randy Otto is an entertaining and memorable Winston Churchill. His passion for the great man, attention to detail, and quick wit make his performances enjoyable and instructive. It was a pleasure to have him on our campus. Armed with a simple lectern, Johnny Walker Red scotch, Pol Roger champagne and 47 ring Churchill length cigar, this show is a one-man portrayal devised by Randy Otto, performance artist and motivational speaker, in which he depicts Winston Churchill giving a dramatic recitation selected from several of Churchill’s writings and oratory with an emphasis on historical/biographical accuracy – while staying true to Churchill’s character and legacy – followed by “Ask Winston”, an opportunity for the audience to query Churchill. One or two act production. An unforgettable evening! 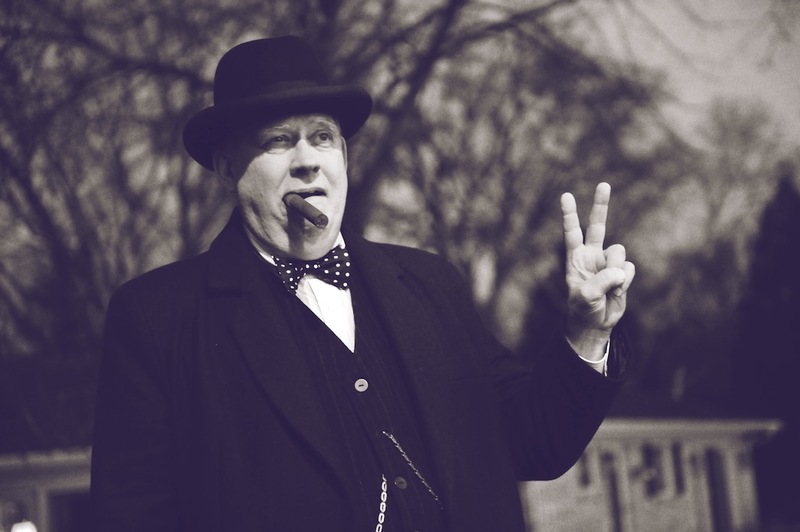 Have you always wanted to ask Winston Churchill a question? Now is your chance! Head to our Facebook page or ask a question on our website, he’ll be sure to answer! Journey with CEO role model Winston Churchill. Discover why worldwide CEO’s admire Churchill the most (#1 in Price Waterhouse Cooper’s Global CEO Survey – 2013). Journey with Winston imagining creative solutions to problems, communicating effectively across boundaries and leading with integrity midst chaos and despair. 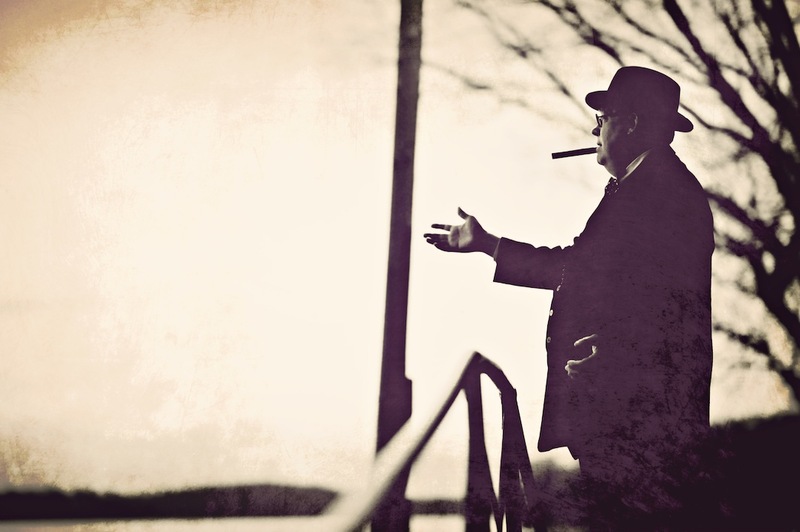 Churchill’s indefatigable organizational and charismatic genius emerges. Includes interactive, intimate case studies that may be customized to your corporate objectives. Motivational Speaker Randy Otto adds Churchill’s biting, humorous wit with a Q&A session afterwards. In a word: Spellbinding! Are you looking for a motivational speaker for your next event, conference, meeting, or stage show? Book Randy today!